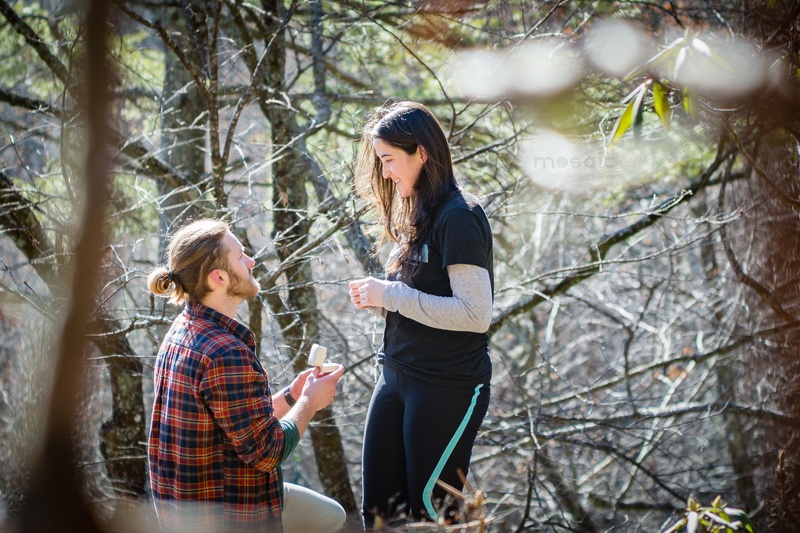 There are many ways to propose from a romantic dinner to a hot air balloon ride to a simple walk in the mountains. However, Will’s proposal to Brea has to be one of the most unique. 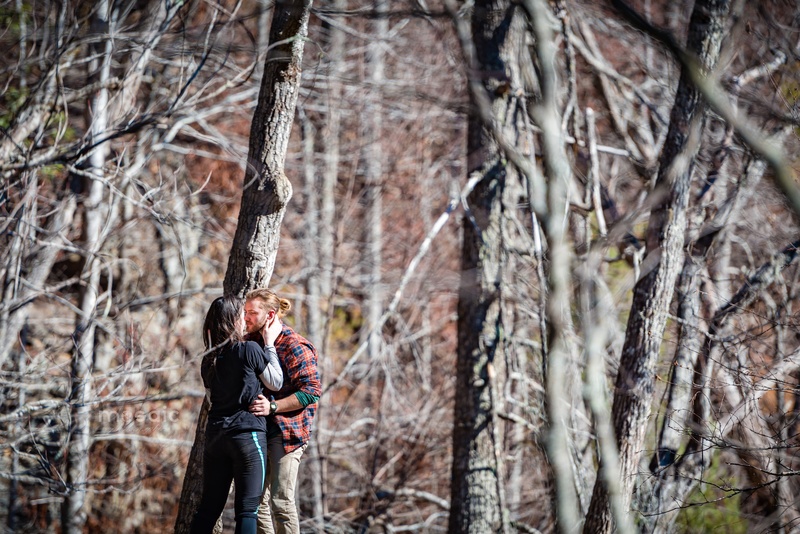 Will and Brea share their story about how a fast food taco sauce packet was the catalyst for one of the most important moments of their lives. Cedar Creek Cabin Rentals: Raven Cliff Falls is a beautiful area in the north Georgia mountains. 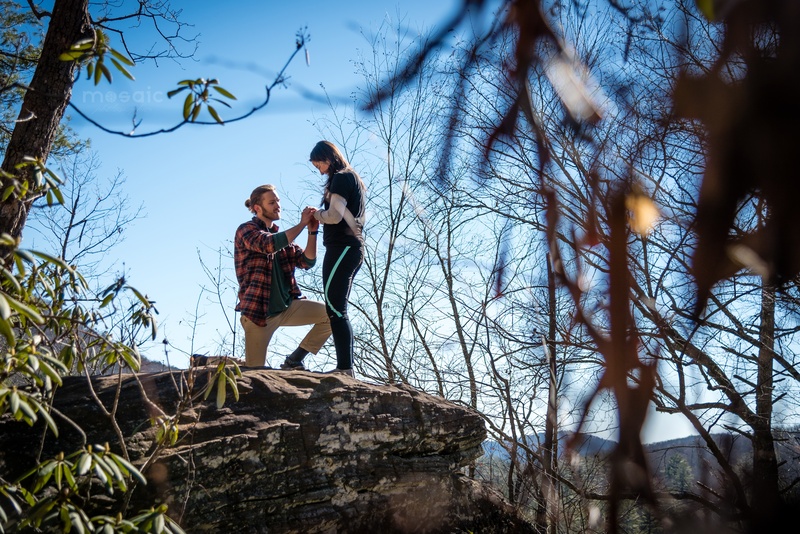 Will, why did you choose to propose to Brea at that spot? Will: Raven Cliff Falls was the first adventure that Brea and I went on. It was the first time I got to see Brea in her natural habitat, photographing nature to encapsulate all the beauty strewn up and down that trail. It was the first bout of adversity we faced as a team...where we night-hiked miles for a camping spot...where we rolled out of Enos at 6 am to fight the rigor of rocky inclined trails...and where the sweet taste of frozen victory was felt atop the trails most breathtaking peak. ...much like the sunrise, peering over the mountain ridge. But what's more, that trail was where God found His way back into my life and gave me the ability to recognize beauty again. Raven Cliff Falls became the cornerstone of Brea and mines relationship. Not just because the adversity we faced, or the sheer beauty found along every hill and every fall on that trail...but because I found God along that mountain trail, and along with it.. I found the God-given Love for Brea, that has since guided both of us in our journey towards marriage. 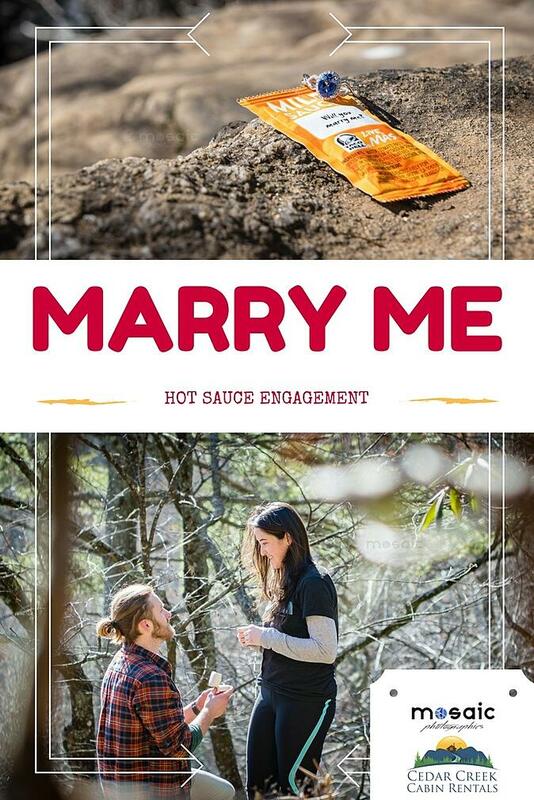 Cedar Creek Cabin Rentals: Brea, when Will proposed to you with the sauce packet what did you first think? 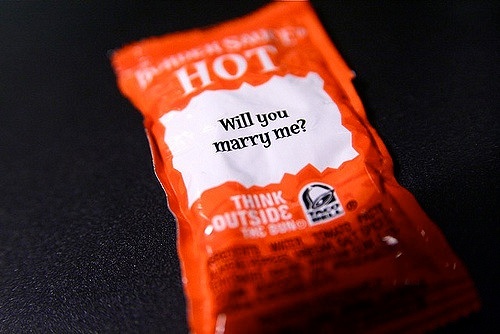 Brea: So when we first dated in 2013, I had gone to Taco Bell one day with some friends, and I had found that sauce packet and thought how cute it would be to get proposed to with it. I held onto it for a while and finally gave it to Will when I went off to college in Kennesaw. However, while I was at Kennesaw, I decided to break it off with Will and focus on my relationship with God. It was one of the hardest decisions I have ever made, but God kept assuring me that everything would work out in time. So three years later, Will called me out of the blue, and we ended up hanging out for a day in the mountains. I took him to Raven Cliff because it was the place I always came to hike and take pictures at. Not to mention, the two-mile hike to the top would give us the chance to catch up with one another as well as admire all of the beautiful greenery along the trail. This trip would end up bringing us together again and a year later, Will taking me to this same exact spot and kneeling down on one knee with the Taco packet that I had jokingly given to him four years prior. It meant a lot, because, to be honest, I had forgotten all about it, but when he reminded me of where it came from, all I could feel was happiness knowing that I was going to get to spend the rest of my life with this man. A sentimental man who holds onto and never forgets even the smallest of moments together. He brings much joy to my life and I have God to thank for it all. Looking at that Taco packet, I see a reminder from God of His Goodness and Faithfulness. And that when we choose to trust in Him rather than our feelings and what only we can see, He promises us so much more than we can ever imagine. Thanks to Julie Wilson, Mosaic Photographics, for her help in telling this special love story and for kindly sharing photos of Brea and Will. There is more to our photographs than beautiful lighting and vivid colors; each image we capture contains memories! Epic tales of young lovers embarking on the great adventure of life together. Memoirs of lives well lived and families full of love. Even that time the baby peed on dad during a photo shoot. Whatever the story, we would be honored to tell yours!